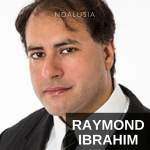 Raymond Ibrahim is a Middle East and Islam specialist who has been widely published in a number of publications, including the New York Times, CNN, and more. He has also written two books which include The Al Qaeda Reader and, his most recent book, Crucified Again: Exploding Islam’s New War on Christians. Raymond talks to Jason Hartman about extremest Islamic religious groups, US and Western intervention, and more on today’s Holistic Survival show. 1:30 – We have the Taliban, Al Qaeda, and now ISIS, what’s the difference between the three? 7:00 – These groups are all identical, because they’re all based on the Islamic ideology. 11:15 – Islamic teachings by its nature creates dictators, not presidents or parliaments. 13:25 – Why isn’t ISIS attacking Israel? 16:20 – Raymond talks about the Western definition of a moderate versus extremist Muslim. 18:45 – Christians seem to be heavily penalized by their own community if they kill someone. Why do Muslims not do the same thing? It’s my pleasure to welcome Raymond Ibrahim to the show. He is Shillman Fellow at the David Horowitz Freedom Center. He’s an associate fellow at the Middle East form and author of Crucified Again: Exposing Islam’s New War on Christians. Raymond, welcome, how are you? I’m fine, Jason. Good to be with you, thank you. It’s good to have you and you’re coming to us from Northern California is that correct? First of all, I’d like to ask possibly to some this may sound like incredibly basic question, but if you could distinguish for the listeners, you know, from a very high level view here. We’ve got, you know, these different parties that we’ve all been hearing about since 9/11. First we heard about the Taliban, then we heard about Al Qaeda, and then we heard more recently about ISIS or ISIL. Tell us about these three entities and what their distinctions are if you would. Sure, Jason. You’re point to a very important question that actually confuses a lot of people. On the one hand you hear of these disparaged groups that you just named and many more. One can go on with these different titles and they’re always portrayed as disparaged separate organizations, criminal terrorist organizations, etc, and what’s always missing of course is connecting the dots. The over arching ideology that connects all of these organizations, which of course is Islamic, because that’s what they all say, all of their ideologies if you look at them are derived from core Islamic texts including the Quran and the Sunnah, the Hadith, the teachings of the Islamic prophet Muhammad and so forth and I think that’s the missing ingredient that so many analysts, politicians, academic, media, talking figures, etc don’t want to bring forth because it’s politically incorrect and one can see why it is, but that’s what is the overall arching theme and this is why a lot of these groups are also very fluid. For instance, not many people are familiar that Boko Haram in Nigeria is actually swearing allegiance to the Islamic state or ISIL as it’s called in Syria and Iraq. The reason is of course because they are all follow the same world few. They’re all trying to resurrect a caliphate, which according to ISIS has already been done in Mesopotamia and so forth. They are waging Jihad against the infidels, they’re all, so they’re all follow these same core things, but our political correctness and such doesn’t want to allow that so we treat them as separate organizations and this is why we always have a field day or the media does when a top Islamic Jihadi leader dies. You’ll recall for example Osama Bin Laden who was, of course, the face of Islamic terrorism for many years. When he died, all these top analysts remember for example Peter Borgen saying that the war on terror is over. We can basically say that now and one can understand the logic of that if you think of these organizations as separate fin night entities and dismiss the overarching ideological theme that holds them all together. So, I think it’s important to think about them as a bunch of – yes, they’re different groups, but what motivates them and what they are following is all based on one same them. What is the distinction between them though? I mean, they are focused on that radical Islamic theme, but how do you distinguish them? The Taliban and Al Qaeda, what’s the difference? And then what about ISIL or ISIS ? What is the correct name? You know, it’s interesting. I was reading the New York Times, the leftist New York Times recently and just in the same section of the paper, one headline said ISIL and one said ISIS, you know, different reporters, different authors, of course, but I’m confused. Yeah, I know. I don’t blame you. To your last question about the correct name of that particular group. They call themselves translating the Arabic, it’s an Arabic, what it is is basically they call themselves The Islamic State, originally they were the Islamic State in Iraq and Syria, now they’re just the Islamic State and they’ll also refer to themselves as a caliphate. ISIS is acronym that basically means Islamic State Iraq Syria, so those is the acronym, which I dislike, because it sort of conjures up some kind of pagan pharaonic Goddess, which is sort of the antistasis of what these fellows really are and ISIL is a much more kind of hygienic term and it also means Islamic State in Iraq and the Levant. The reason for that many people point out is they don’t want to use the word Syria because we’re at war with Syria, so we’re using this old-fashioned orientalist term the Levant, so we don’t point out that these guys have risen right we’ve created a vacuum. So, that’s kind of the answer to your question with that. As far as, you know, what really are the differences I would argue the differences are cultural and geographic. Boko Haram is different than Al Qaeda because they’re in Nigeria and certainty as all organizations some cultural practices have perhaps seeped through in side their organizations and so forth. The Taliban is Al Qaeda except their home grown native Afghanies and so forth, these Islamic state actually is the most heterogeneous because it’s made of Jihadis from all around the world including the western world and Europe and America and so forth, but really, they’re focused in a specific local, location, specific geographically, and against usually specific governments or groups of people, that’s really the difference, but if you look at – as I have done, if I look at their ideological texts I would not – if I’m reading their ideological texts of Boko Haram and then I read Al Qaedas and then I read Al-Shabaab’s and Somalia and then I read Talibans. I don’t know who is putting these forth. They’re all identical, because they’re all based on these Islamic radical theme ideology, antidotes and so forth. Is the Obama administration to blame for the raise of ISIS or ISIL in Iraq because of that vacuum? If you wanna look at, I could say, you could say the Obama administration or you could even say Obama and the Bush administration before him, because arguably of course Bush started the whole vacuum issue by toppling Saddam and so forth and real quick to point out, where Arab dictators fall, these guys come to power and this has been a proven pattern continuously, especially under since we’re talking about the Obama administration, so on the one hand yes in Iraq, Bush started it, we created a vacuum. Obama said war is over, withdrawal so forth, not he got Islamic state, but it’s the same thing in for example Libya. This nation now is totally ruins. It’s a humanitarian disaster. Most people aren’t aware that Gaddafi for all his short comings, of course. Did things like, actually, he was promoted sort of feminism, believe it or not, Christians of small minorities, and Libya were fined or churches were left alone. So, the US, Western powers, toppled him, next thing you know now you have the Islamic State and earlier a different manifestation, different name, of course, but same idea. The supporters of Sharia, Islamic law, were there and now in Syria, Bashar al-Assad, who is immensely a moderate and a secular, at least if we’re looking if we’re looking from that point of view. Christians had it very good and other minorities and so forth, Sharia and Druze and what not, Sufis living in Syria were fine. Now, we in the name of democracy, human rights, go in and now of course you have the Islamic states expands. Now. it’s not just in Iraq. It’s also in Syria and it’s the same pattern in Egypt. You’ll recall the Muslim Brotherhood. This administration was very cozy with that organization, the Muslin Brotherhood and that was known really as the grand daddy of all these groups that we’re talking about, because it has existed almost for century now and it is displayed very strong ideological role in creating these organizations all around the world and activists propaganda (#8:56?). So, the bottom line is all these countries that the United States goes into in the name of whether it was the Arabs spraying democracy freedom are all much worse and from humanitarian point of view, they are complete disaster. I always use the Christian prosecution as witness test, because where Christian minorities are attack, you know who is coming to power, Islamic Jihadis and that’s what’s happening all around there. But, you know, isn’t it a matter of or maybe it’s not even possible and I don’t wanna go on this whole, you know, war thing for too long here, because I think there’s a deeper issue that you really want to get to and you discuss in the book, but you know, isn’t it really just a matter of finishing the job. I mean, you know, I was not in favor of the second Iraqi invasion, okay, and I’m not in favor of this expansionist kind of nation building concept. I just don’t think it works. I mean, I might be in favor if it worked. It was really inspiring though to see that first Iraqi election and the constitution being formed and all of the people that turned up to vote and all those pictures. I mean, you know, many years ago that was pretty inspiring, so you know, it seemed like it did some good for awhile, but that’s neither here or there. I mean, is it a matter of finishing the job. I mean, for example, if we left the ground troops there, if we or can we – maybe it’s impossible to finish the job. It’s just an unending, you know, it’s an unending problem. I mean, your thoughts on that? Yeah, definitely. To go back to this idea of dictators. The dictators in the west are always portrayed as sources – the root of all the Middle East social ills and this make sense from a Western paradigm and to go back to that. This is exactly the problem. We keep projecting a Western paradigm on to the Islamic and Middle East world and try to understand them in that sense. Instead of understanding them in their own loop and so, when it comes to dictators in my honest opinion, these guys do not create these sort of societies rather these sort of societies by their very nature create dictators at the very top. That’s the only way social order can exist and that’s how its been in the Islamic world since Islam came. Islam calls for a dictator, he is called a caliph. He has unprecedented power and so forth and this is what Islam teaches us. It doesn’t teach a president or parliament or democracy or so forth and so it’s also I think a little naive on many people’s part to think that we can just transplant democracy, secular democracy there and it’s going to work over night. I mean, it didn’t even work in the west for hundreds of years and there were battles and so forth. So, to expect, okay, we’ve toppled this dictator now tomorrow or next decade you guys are going to be a fulfilled democracy is not going to work. It’s not how history evolves. And finally, you have to not project paradigms that we’re familiar with on Islamic world that at the same time we’re totally ignorant of the paradigms that Muslims themselves are using, which again is Islamic Sharia law, Islamic teaching and so forth, which are always side stepped in immediate analysis as if, you know, that’s not really what they’re trying to do, but a lot of them definitely are, a lot of them are not. A lot of them would like to have sort of secular democracy, but to answer your question, I don’t think it’s something we, as in the west, can do, so to your question, it’s not about finishing the job. I don’t think we can finish the job. This is sort of inter-civilizational issue that Islam needs to work and it’s not among itself. Yeah, it’s really, but definitely, I mean, would you agree that the lesson here is that nature abhors a vacuum. That’s for sure. Nature abhors a vacuum. So, how worried, you know, Americans be about another major terrorist attack. You know, they say it – I’m talking about the Islamic Jihad, Islamic State, and so forth, you just have to remember, again, a lot of western media analysts so forth, they used this law and they say, hey, look, since 9/11, we haven’t had anything of that magnitude and they don’t appreciate the fact that there’s also a strategy here and a lot of these groups know that it’s not the time. They say this, I read it all the time in their communications. This is not the time to attack the west and most of the attacks that you do see Boston bombing and so forth are really lone wolf operators and not parts of larger organizations. The larger organizations are taking their time, they wanna bide their time, because they know if they wanna win the PR war almost, just be left alone until they can solidate all their power. For example, this is what’s going on, you would think the Islamic State would be attacking Israel and in fact a lot of Muslims are telling the Islamic State, hey, you’re the caliphate, why don’t you defend the Palestinians and go forth attack the Jewish infidels and so forth in their words and their argument, the Islamic State is, well, first we have to bring all of the Muslims back under the banner of Islamic Jihad, which means to fight and kill fellow Muslims, because they’re not true Muslims and then once the Caliphate is huge and organized and consolidated, then we can attack Israel and I think that’s the same mentality – that’s one they can attack the United States. There’s so many ways they could’ve gotten us by now. Are they only wanting to do big showy things, of course, we’re making the assumption, which may not even be a fair assumption that the terrorism threat is even real initially, but assuming that it is, one not just do some small things? I mean, there’s lots of things they could do to hurt us, but I mean our borders are so poorly protected and there are people here that would do that like the lone wolfs that you mentioned and maybe a few of them could get together, etc. It just kind of makes me think the threat isn’t really that serious. Well, I would tell you what they say, because I’m pretty to these conversations, not because I’m working with them, but I read them on the internet and so forth. They’re open to the public, but they’re in Arabic. I’ll put it this way, when 9/11 happened, a lot of Islamists and Jihadis attacked, verbally attacked Al Qaeda and condemned them very strongly and their argument was why would you want to wake up the sleeping giants eyes to us while we’re still working in the early stages and so forth. They were condemned all around by lots of – of course, others loved what Al Qaeda did and so forth and this is the divide. The lone wolfs, the ones that want to do this, the ones that just want to go Jihading and then the long term strategic plan, so the logic right now is if, it’s good that the west is not, you know, going up in arms and attack the Islamic state or openly condemning Islamic teaching and so forth. So, it’s good to keep it that way while they continue getting stronger, consolidating power, and then when the time is write, this is what they say, again, I’m not conjecturing, this is exactly what they talk about and they give you time frames and years and plans and when to do this and when to do that, so I think you might see lone wolf type threats or terrorist attack, which often times are thwarted, because they’re somewhat amateurish, but the real major attacks, the types that you’re seeing in the Islamic world or where ISIS is coming and so forth are going to be kept, are going to be held back for now. Is it fair distinction to say Islam and the radical Islam or are these really the teachings of a Koran to do all of these terrible things? Well, that’s a very good question. I’ll answer it this way. If I show you a Muslim who preys 5 times and fasts and, you know, does Ramadan on fasting and goes to Mecca pilgrimage and so forth, you would not say this is a radical, you would say this Muslim is, you know, is following Islam etc, etc, but if I show you a Muslim who’s destroying crosses, burning synagogues, enslaving people, doing Jihad, decapitating people, and even setting them on fire, you will say that is radical behavior. Now, from an Islamic point of view, you may have heard of the words Sunni or the Sunniu, you hear of the Sunni Muslims and they are the majority of the Muslims, they account for more than 90% of the billion plus Muslims and what that word simply means, it’s an Arabic word, it means those who follow the example of Islamic prophet Muhammad. Now, Islamic prophet Muhammad preyed and fasted and did all of those things, which we call moderate, but he also did all those other things I just mentioned including having people beheaded, having people enslaved, having concubines, having people set on fire, having people tortured. He personally ordered some men to have their eyes gouged out, their hands amputated and so forth. So, from an Islamic point of view, it’s not radial or moderate. This is Islamic teaching, this is the pattern, and they’re trying to follow it. It’s only us, again, projecting our standards that says, oh, this is moderate, this is acceptable, this must therefore be trust Islam and this is radical, but this distinction just does not exist among Muslims. I have many Muslim friends who are just the nicest people you’d ever want to meet. I’m not kidding. They are just the most decent, giving, loving, friendly people you’d ever want to know. I can’t – I don’t get it. There’s just this big disconnect for me. You know, look it, I’ll make a Christian comparison, okay, you know, many Christians, well, not all, but many, many are against abortion and occasionally you’re going to have someone who is a radical assassinate an abortion doctor or attack an abortion doctor or clinic, right, and the whole Christian community and come out against them. They will find this person, they will want to see this person pay the price, they want to see them spend their life in prison or get the death penalty, but why isn’t there that kind of thing among the Muslim community? I don’t know, maybe it’s there and I don’t see it? I mean, I see inklings of it, but it doesn’t seem any where near as intense as it would when a radical Christian steps out of line and does something really wrong and the Christian community they want to see the guy pay. That’s a great point. I’ll tell you why that is, because when a radical Christian goes and kills someone because of abortion and so forth, he can not any way shape or form point to any Biblical scripture, any teachings of Christ, anything that he said to justify that. So, it’s only nature that Christians would be outrage that this person is using, you know, their religion to commit violence when Christ himself – turn the other cheek, forgive your enemies, etc, etc, but then in Islam if someone goes and decapitates someone, as I said, Islam, the Koran calls for this sort of behavior, it’s part of Islamic law and Islam’s supreme model Muhammad did these sorts of things routinely, but to your bigger question which I’d like to address is, you know, I agree with you, that’s a lot of very good Muslim. I, myself, know some and so forth and the best way to answer this sort of disconnect, you know, you have all these good Muslims on the one hand and then you have what I’m saying on the other is, the best way is by analogy. I think we can all say today that Nazi Germany was a bad thing, Nazism was a bad ideology. We can all say this is bad, stay away from it, etc, etc, but it would be wrong for us to say every single German in Nazi Germany was a bad person. We know they weren’t. We know there were good German, we know there were Schindler, people who helped the Jews escape and so forth. Now, did they do that, were they good Germans because they were practicing in moderate good form of Nazism, no, we know that’s not the case. They were that way in spite of being Nazi’s, being nominal Nazis and so forth. It’s the same case with a lot of Muslims, a lot of them are nominal Muslims, a lot of them are good people not because of some Islamic teaching, but they’re good teaching in spite of these sorts of things that we’re talking about, because their own human nature prevails just like it did among some Germans in Nazi Germany and so forth, but I’m really talking about the ideology of Islam itself, which clearly justifies all this behavior, though I’d admit freely not every single person who says I’m a Muslim wants to do this or even knows about it. Wow, it’s something. What else would you like people to know? Well, as the author of Crucified Again, as you mentioned, and the subtitled is what the book is about, Exposing Islam’s New War on Christians. What I would want people to understand is that book I wrote, I use Christians sort of a snap shot, because most people are not aware that the heart of the Islamic world or the Arab world, really North Africa and the Middle East wasn’t a seventh century historically Christian area. It was actually made up more than half of what was Christendom in the seventh century and then Islam came and conquered and what the Islamic State was what happened then over the course of centuries, so many Christians died, converted, they fled, etc. Now, it’s Muslim majority state, but there’s still a lot of Christians, so I use that as a paradigm to show what happens to non-Muslim “infidels” who are under Islamic authority. So, the book is a snap shot of what happens to them, because there’s still a lot of Christians because of that historic point I made under the Islamic world and if you look at it, they’re being, what Islamic state is doing has been happening for centuries up, I mean, recent era, years ago has been happening all around the Islamic world to Christians and other minorities and so it’s not an aberration and I also try to discuss the history to show that what’s happening today really happened then and it’s the reason that the Islamic world came into being, that’s how it happened, by conquest. We always talk about occupied territory, returning land, and so forth. It’s a historic fact that the overwhelming 90% of what we call the Islamic world is conquered territory beginning with Arabia itself, the home of Islam, which again, was forced into it. Muslims broke away, the Arabs broke away when Mohammed died and then there were the wars, they were killed, slaughtered, came back, etc. So, I think the great lesson I’d like to leave people with is what you’re saying is not an aberration, actually it’s more of a continuity of a very long and old story that has unfortunately been sort of suppressed in the West, because it’s very politically incorrect, it’s very negative, and one can see why. We don’t want to talk about it, but it’s time to sort of open our eyes and connect the dots. Yeah, very interesting. So, the book is Crucified Again: Exposing Islam’s New War on Christians. Give out your website, Raymond. Sure, it’s just my first and last name. http://www.raymondibrahim.com and there you can find all my artiles that appear on different websites and also links from Amazon from my books, Crucified Again and The Al Qaeda Reader. I’ve got one final question for ya, why is it, and you know of course this my perception, but it’s not just mine, I know there are many other people, because I’ve seen it all over social media, why is it that liberal Western women, you know, in the US, seem to turn a blind eye to the oppression against women in the Middle East under Sharia. It just blows my mind that they, they almost defend it like that’s okay, but you know, in the US, oh my God, women don’t get paid enough, you know, and that whole argument is completely, you know, that has a lot of illogical errors and fallacies in it, but we won’t go there. Why is that? I mean, is that your perception too? I mean, look it, women can’t drive in many countries, they’re forced to be covered, their lips are being cut off if they wear lipstick. I personally know, I have a friend, a real estate agent that worked for me at one of my real estate offices years ago who left Iran on like a incredible heroine journey to escape the country, because she was arrested multiple times for wearing lipstick and they threaten to cut her lips off. I mean, this is insanity. You’re absolutely right and I agree with you, the best answer I can give is that these liberal types of women and so forth and just liberals in general are so indoctrinated by their own propaganda, which proliferates in academia, proliferates in the main stream media and so forth, so that what they know is, again, the paradigm they operate on is that traditional Western civilization, Judeo-Christian cultures and so forth is the root of all evil, it’s root of all this evil patriarch and oppression of women and so forth. So, they’re so in tuned to that sort of mode of thinking and then on the flip side of that coin, which they’re also taught and indoctrinated with is multiculturalism, which is that basically anyone who is not from the West and who is not of a Christian origin is a good person who is misunderstood, who is oppressed, and so forth. So, I think these two kind of views are just stuck in their head and it doesn’t matter what reality has to say, that’s filtered out, as long as they can see that thing. So, there are oblivious to the sorts of things you’re talking about, because they can’t acknowledge that because it doesn’t fit their very propagandistic and indoctrinated world view. Well, Raymond, thank you so much for joining us and for talking about some of these issues. I know they’re difficult and people will obviously disagree for probably eons to come, but hopefully the world will become less radical on every aspect and people will find peace and be able to live together and advance. I mean, this is such a hindrance to progress, you know, it’s just, why do we want to go back into the dark ages, folks? Didn’t we leave that? I absolutely agree with you, but you know it all starts with, we have to be honest and kind of take that bad medicine first and appreciate reality, because if you just keep sweeping it under the rug it gets worse and worse and that’s what’s happening. So, let’s just confront reality. Remember, I’m not talking about people, I’m talking about an ideology. Few people know that the Egyptian president Abdel Fattah el-Sisi, new years day did a hugely unprecedented thing, he stood up in front of (#26:44? ), which is probably the most prestigious Islamic institution in the world and said, “We as Muslims have to stop being a source of misery and terror for the rest of the world. We as Muslims must do something about our religion, we can’t be stuck in a medieval world view. We can’t be killing people. It can’t be us against the rest of the world.” Etc. Keep in mind this is pious Muslim who said these things and it was very heart-felt delivery. I don’t even know if it was expected, he just said it, and it shocked so many Muslims, some liked it, some called him an apostate, wanted to kill him, and so forth. I appreciate what he did, because he was bringing the truth out, you know, he’s exposing it to the light. That’s what we gotta do to eventually have peace and let’s hope we can do that. Good stuff. Raymond, thank you for joining us. I appreciate it. Oh, my pleasure, Jason. Thanks for having me.